It’s the first day of September and snow is already falling in parts of Quebec. 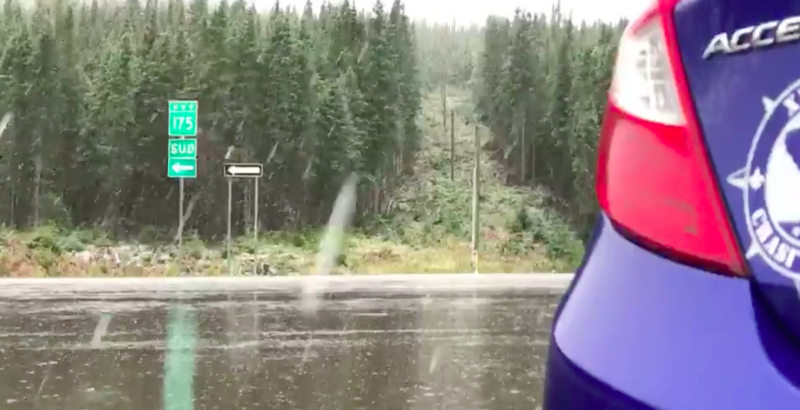 A video posted on Facebook by Xtrem Chase Quebec shows flakes falling near the Reserve Faunique des Laurentide, located about three hours away from Montreal. There’s no snow in the forecast for Montreal anytime soon, but today’s morning temperatures are a hint that Old Man Winter is just around the corner. According to The Weather Network, it felt like 6°C this morning and tonight it will feel like 5°C.